The CBORD Group Inc. announced its new partnership with ASSA ABLOY, a security and physical access control provider. 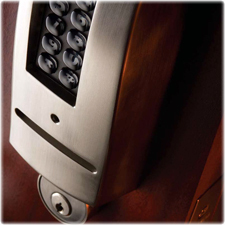 The new partnership will present CBORD users with access to ASSA ABLOY IP-enabled and offline electronic locksets. CBORD and the HID Global division of ASSA ABLOY have worked together in the past in collaboration on the CBORD Squadron series of access control panels as well as other CBORD CS Access elements. The ASSA ABLOY locksets, powered by CS Access, will provide campuses with a locking system that is simple to install, manage and upgradeable. CS Access is CBORD’s IP-based door access control technology software platform, which provides privilege management capabilities that allow schools to track and configure patron access on a 24/7 basis. The system also supports integrated alarms management and surveillance solutions for optimized campus security.